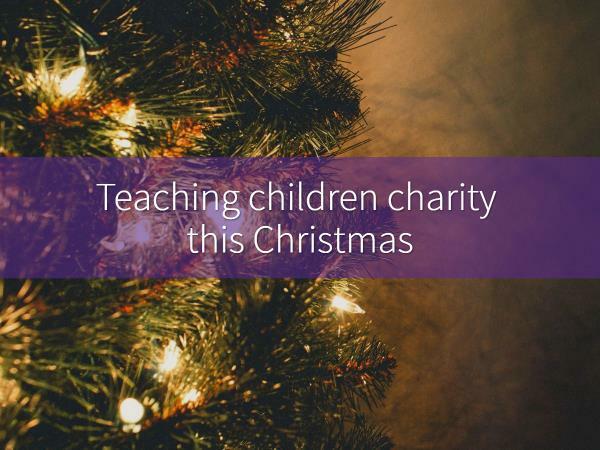 Knowledge Base | Keswick Christian Camp | Is Christmas the worst time to teach kids charity? Christmas advertising is starting earlier and earlier (it was mid October this year), all pushing us to buy more and setting an expectation that you have to buy the best and biggest presents to show your kids how much you love them. Santa even receives emails with such massive lists he can’t even get to the bottom of them. Fortunately there are other ways you can give and teach your kids the gift of giving. Spending time with your kids, especially over the silly season, is a wonderful way to create family memories and traditions. You could all donate some time and go to a nursing home or help the less fortunate at a food shelter. Instead of throwing out old toys or clothes that the kids don’t like, why not create a present to send to refugee children, or even better, create a shoebox and send it full of new presents for children that won’t receive any gifts. It’s only one gift less for your children and can make a truly memorable Christmas for many. Give your kids responsibility for Christmas Day, like cooking something for Christmas lunch. If cooking isn’t their thing, they could set the table or put the decorations up. Show them Christmas Day is a team effort and everyone can pitch in for a yum lunch! Make your own Christmas cards or gifts to send to family and friends. Chances are they will love the gifts even more because they are home-made. Most importantly, create fun and a loving environment for your kids so they can love Christmas and the gift of giving. Planning a school camp or sports group getaway for the new year? Enquire today to start planning for 2019!